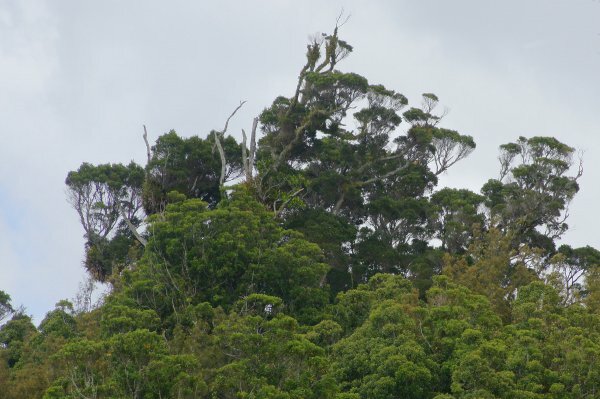 ' A Large northern rata in a 87 hectare stand of rata, tawa, pukatea and rimu virgin bush. Given the name of "Ratanui" by Bushy Park Management Committee in 1987. Photographed by John Johns and made famous on the dust cover of 'Great Trees of New Zealand' by S.W. Burstall & E.V. Sale, 1984. 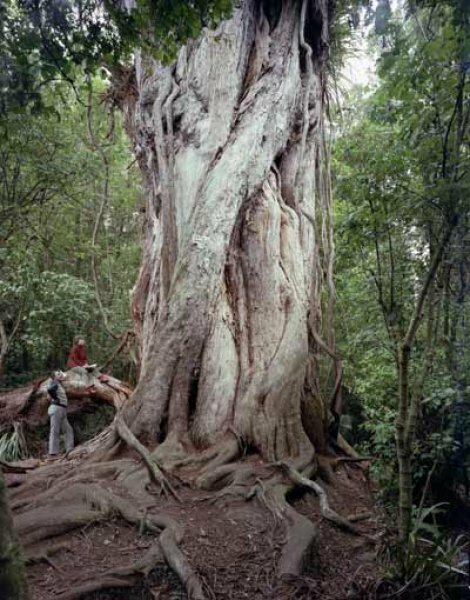 This tree is often referred to as the largest northern rata in New Zealand but many larger trees exist, indeed S.W. Burstall even refers to a larger tree at Bushy Park in his book. A larger tree exists in Akatarawa Forest. This tree has a girth of 15.4 m in girth (see record WTR/0976). Another large tree exists at Okataina near Rotorua with a further large tree up near the Bridge to Nowhere on the Whanganui River. The old RNZIH notable tree record for this tree shows a 1983 girth measurement of 1465 cm. The reference for this measurement is documented to have been taken from the 'Great Trees of New Zealand' book. It is clear that an error has been made converting the published 367 cm diameter of the tree to a circumference of 1465 cm when at the time it should have been 1153 cm (Cadwallader 2012). 24 Dec 2016 Smillie, M.J.
08 Oct 1983 Sale, E.V. A short walk on well marked trails from the homestead. Entry Fee to grounds and Homestead for day visitors is $6.00 adults, children under 15 are free.